There are over 10 diving centres catering to Phi Phi Island as divers from around the world enjoy staying on this island paradise and go diving. The Phi Phi Island group includes a number of small islands and there is great diving in the area. The limestone cliffs combined with the number of magnificent dive sites make Phi Phi Diving a true divers dream. 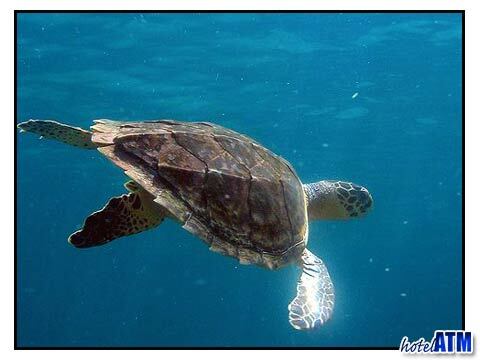 In this small area of this island chain you can enjoy wonderful diving day after day. The limestone rock formations form amazing towers that add a great component to diving. There are caves, overhangs, and swim-through in the rock formations. There are caves that go as far as 100 meters. These of course are only for experienced divers or in the company of a professional diver. There are also vertical walls that have an amazing array of soft corals, black coral, sea whips and fans. There are some unique coral trees and white coral bush as well. There are hard-coral gardens that play host to some incredible tropical inhabitants. The coral closest to shore has been damaged in places but most of the coral remains pristine and amazing. Diving in the entire area is great, but perhaps the best or at least the most popular is on the south tip of Koh Bida Nok. Your dive would begin in a shallow bay on the east side of the islet. In 10 meters of water you will find star corals, stag horn and an incredible array of anemones and anemone fish. You will see some rare and unique samples during this dive. As you head south on your dive you will reach a vertical wall that allows you to enjoy a headfirst descent about 22 meters to bottom and then five meters below there is a bommie off that wall covered with glass fish, soft corals and large sea fans. 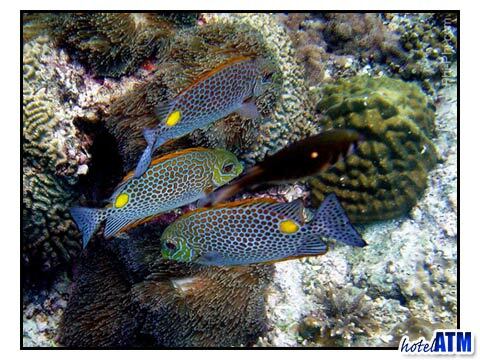 You will also see schools of blue-striped snappers and be on the lookout for octopuses and large moray eels. As you get near the end of the dive you will encounter small cavern in the rock that creates a unique site as the light filters through it. This is one of many great Phi Phi Dive sites when you explore Phi Phi Island diving.